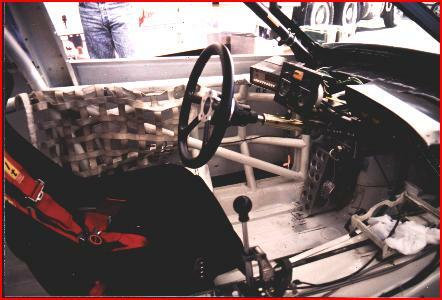 The office of Hurley Haywood, Hans Stuck and Walter Rohl. 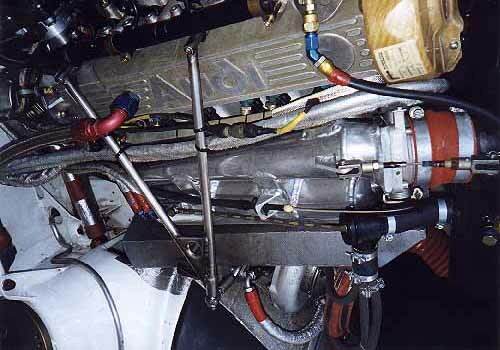 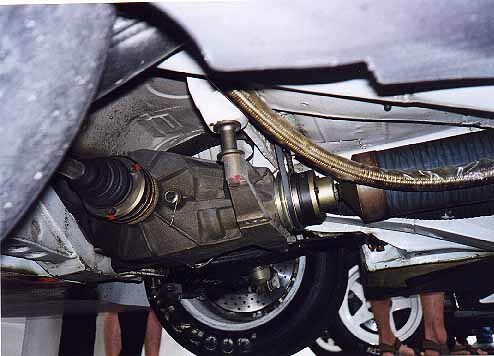 Underside shot showing the rear differential. 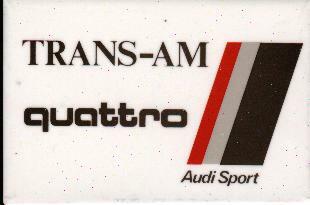 These badges were handed out to fans who were lucky enough to gain access to the "Audi Corral" at the 1988 Trans-am events. 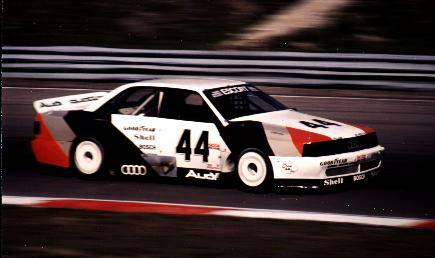 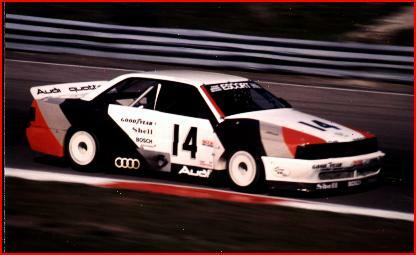 The badges commemorated Audi's involvement in the series. 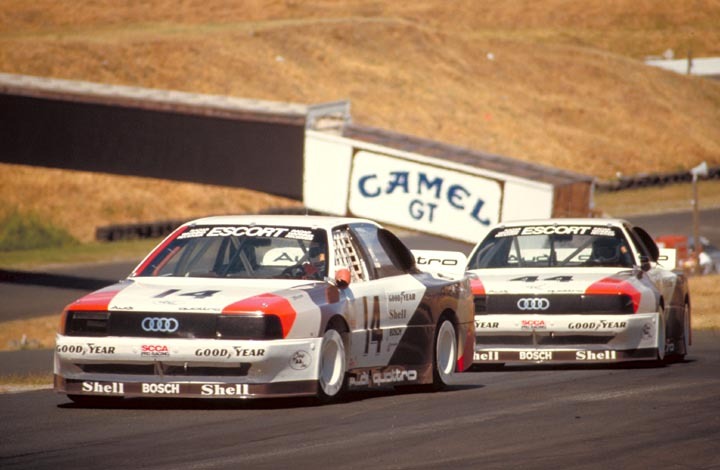 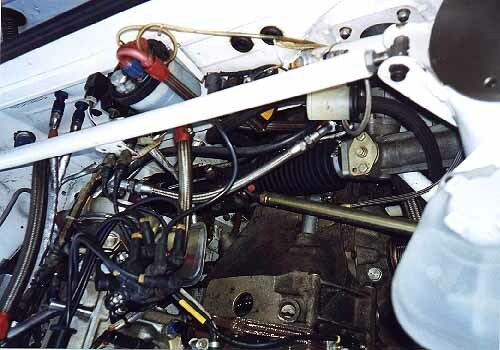 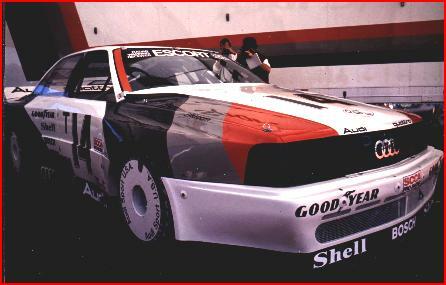 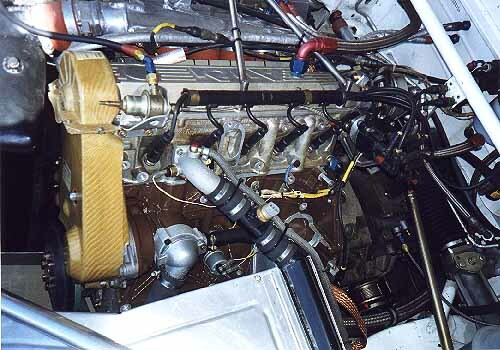 This 1988 SCCA Trans-am Championship Team was operated by Bob Tullius and Group 44 Inc.